Are you a young parent residing in Yishun or Punggol? If yes, you’re in luck! Because there will be two mega childcare centres to be launched at Yishun and Punggol. 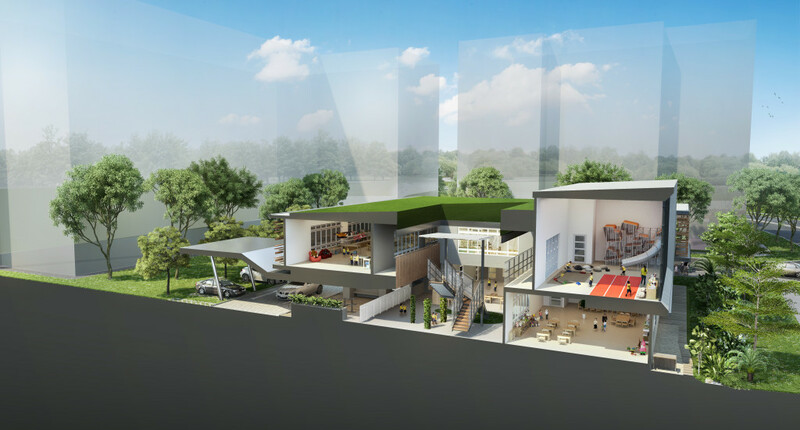 For those residing at Punggol, E-Bridge Pre-School, a school that is of the size of four Olympic-size swimming pools, is set to open in the second quarter of the year. 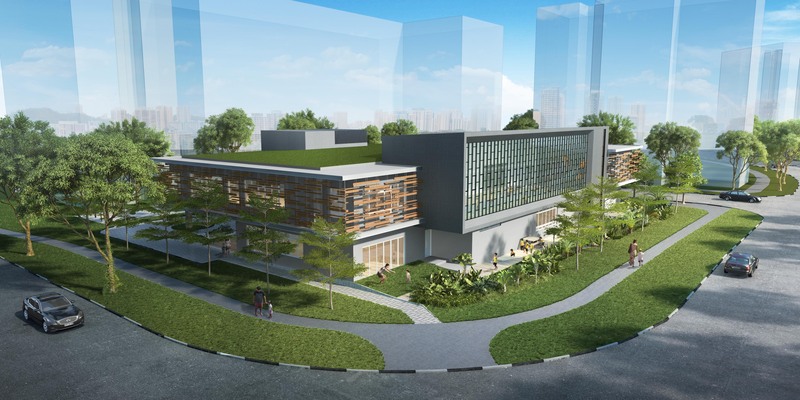 Located along Edgedale Plains in Punggol, the childcare would accommodate a total of 500 children at full capacity. Operated by the Etonhouse group, E-Bridge Pre-School will be adopting an inquiry-based curriculum that focuses on providing a creative, inspiring and effective learning environment to stimulate the development of our young learners. Just in case you’re wondering what facilities will be available at E-Bridge Pre-School, here’s a few that we found out. Childcare fees per month are $720 and infant care is $1,275 per month before subsidies for Singapore citizens. 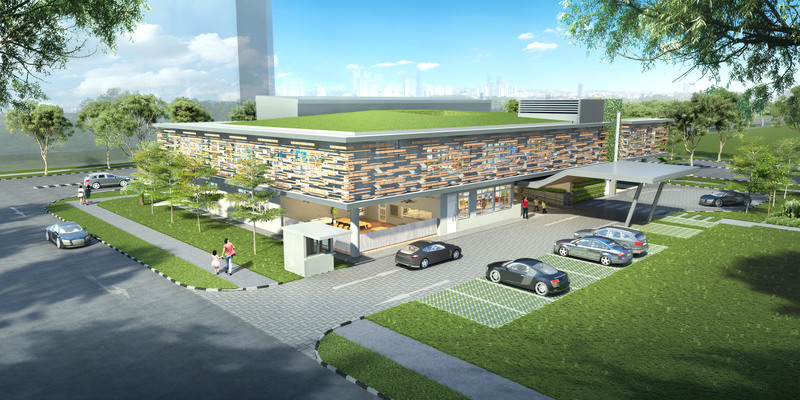 As for those who are residing in Yishun, Skool4Kidz will be opening their very own mega childcare centre by the middle of this year. 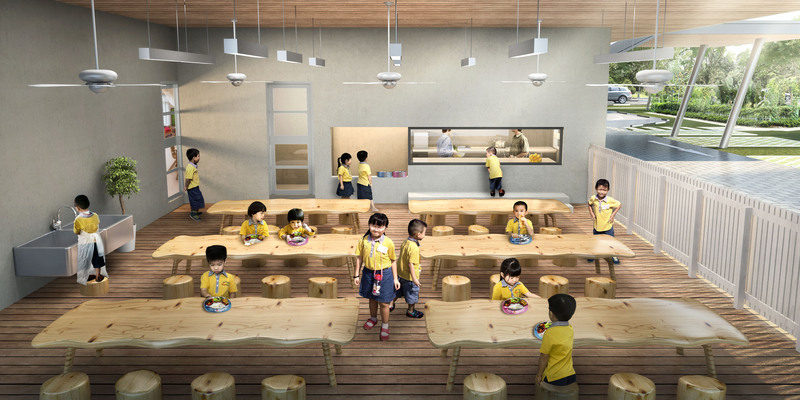 The mega childcare centre measures 1,990 sq m over two storeys, which is approximately three times bigger as compared to your average child care centre. 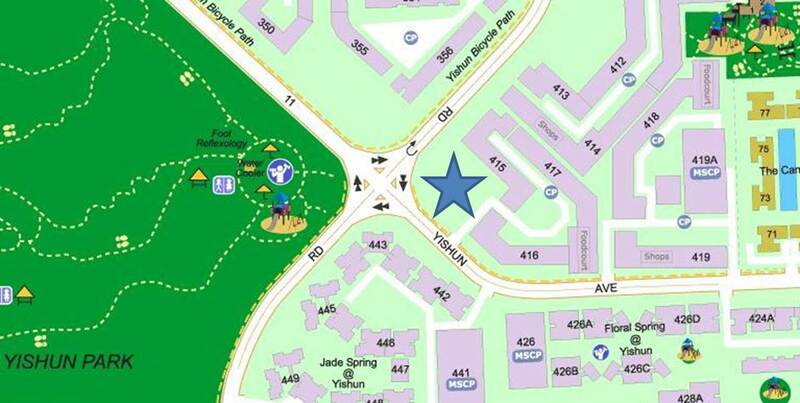 Skool4Kidz will be located next to Block 415 along Yishun Avenue 11 and will be accommodating up to 300 students. 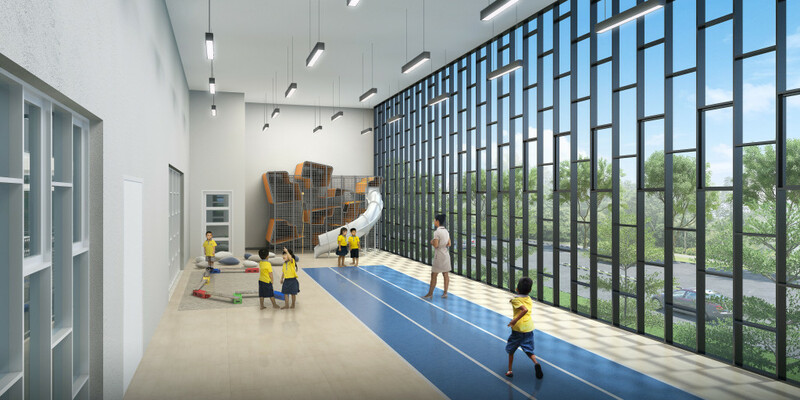 In terms of facilities, future students of Skool4Kidz are in for a wholesome and engaging environment too! One of the facilities you can expect is the community garden as shown below – where your child can harvest vegetables and herbs for their meals in school! Similar to a restaurant, a glass panel will separate the kitchen and its alfresco dining area, so your kids can see how their lunch is being prepared. This would certainly spark some curiosity amongst your young ones; who knows they might just be the next great chef! 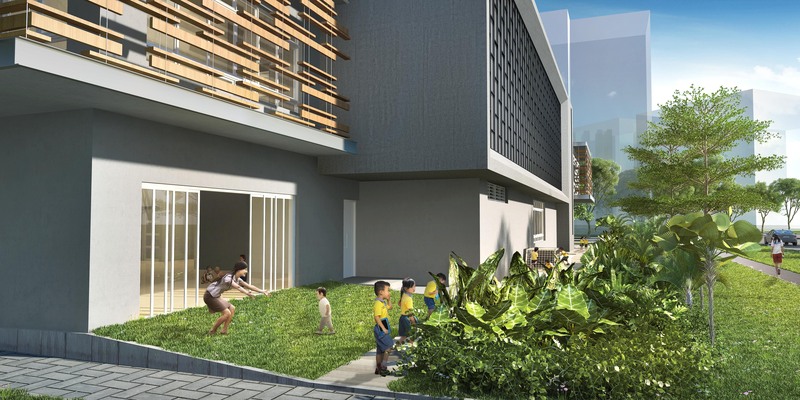 Aside from those, there will be covered and outdoor play spaces, atelier, art studios in which your child can make use of recycled and natural materials to express themselves. The estimated childcare fees per month at Skool4Kidz is $770 for toddlers, playgroup and nursery (age 18 months to 6-years-old), excluding other fees and expenses while the estimated infant care fees per month for children aged 2 to 17+ months is $1360. 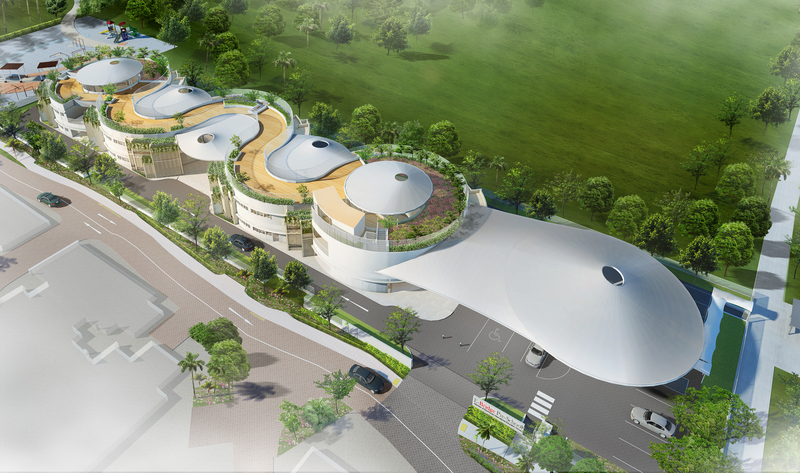 What are your thoughts on these Mega Childcare Centres? Share with us in the comment section down below! 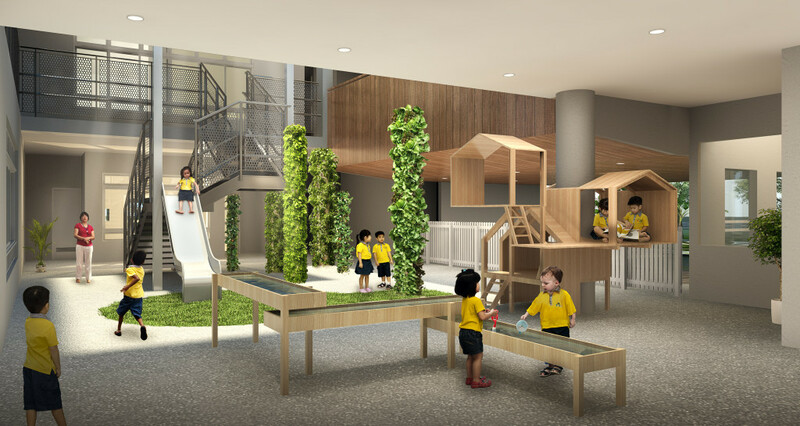 The World's First Early Learning Village Is Now Open In Singapore!